The Carleton is a West Indies style single-family home. It features 4 bedrooms, 4.5 baths and an open concept living area totaling more than 3,600 square feet of living space. 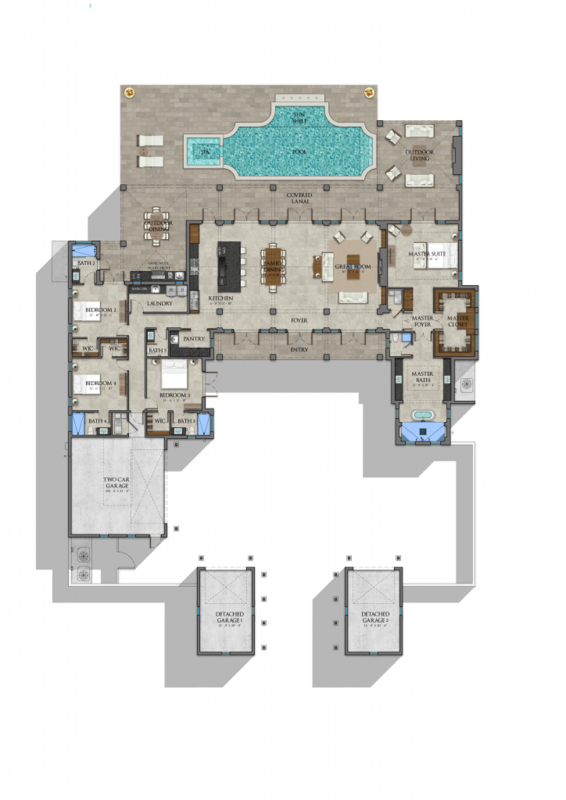 Add to that more than 1,300 square feet of covered lanai space plus 2 attached and 2 detached garages for a total of 6,437 square feet. 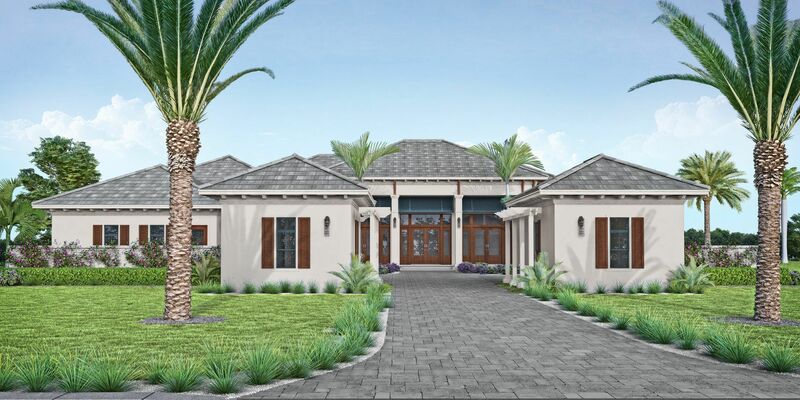 The Carleton embraces the traditional West Indies style with clean lines, louvers, exposed beams, and shutters. Three sets of French doors along the front porch are mirrored by three sets along the back verandah opening the space and also promoting cross ventilation. 14 foot-high ceilings that vault to 18-feet keep the rooms cooler by encouraging warmer air to rise. The Carleton includes the latest in smart technology that allows you to use an iPad or smartphone to control lighting, sound systems, security, and air conditioning. The home is currently under construction in Carleton Estates, an intimate neighborhood of ten single-family home sites ranging from .5 to .8 acre. 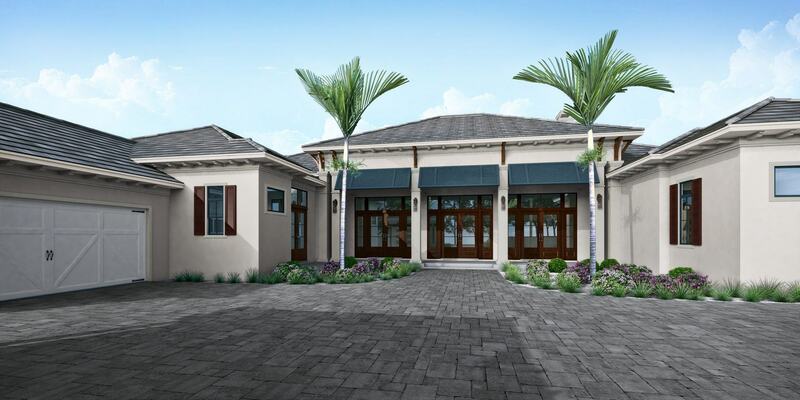 The community offers a private brick paved street, connecting sidewalks, and streetscape “preserving the location, character, and history of the McGregor Boulevard Corridor.” The neighborhood is located in Fort Myers off McGregor Boulevard one-half mile north of Colonial Boulevard. Click HERE for a birds-eye view of the Carleton under construction. Team Aubuchon is Southwest Florida’s dominant leader in luxurious innovative design, superior construction, and widely diversified real estate solutions. Empowered, community-minded employees and business partners provide uncompromising service guaranteeing life-long customer relationships. Copyright 2019 Aubuchon Homes. All Rights Reserved.